Telecom Minister Ravi Shankar Prasad said that the problem of call drops on BSNL Mobile networks is improving. The telecommunications department had reviewed the situation on weekly basis for the past two months to reduce call drops. 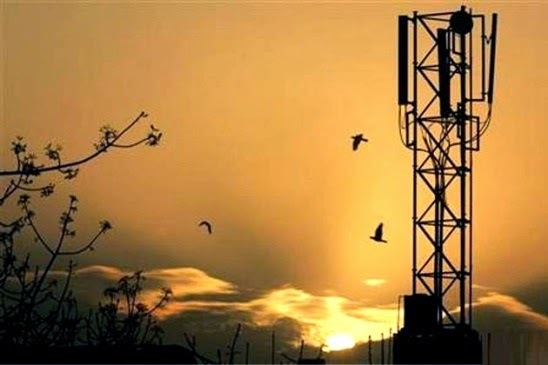 In an attempt to reduce the issue of call drops due to shortage of mobile towers, the government has taken a policy decision under which all buildings of Government of India must allow installation of towers. He also added that, direction were already given to Post Offices to allow mobile towers on rent at its buildings throughout the country. Chief Ministers of Kerala and Andhra Pradesh had already responded to his Ministry's proposal for installation of network towers on government buildings. "The number of call drops on the Bharat Sanchar Nigam Limited (BSNL) mobile phones had significantly declined after the BSNL increased number of its network towers," Telecom Minister said. He clarified that it was wrong to presume that one can develop cancer due to radiation from mobile tower. Referring to reluctance by people to allow installation of towers at their premises fearing that radiations from towers may lead to spread of cancer, the Union Minister said there was no truth in it citing reports by the World Health Orgnization (WHO) and judgements by various courts. "The experts from the BSNL have come to Bihar several times in the last few months and have done a survey on what all things are needed to improve the situation. Even Airtel, Vodafone is optimising and trying to improve the situation in different cities. Airtel is also setting up 10 BTS in Patna," he said. Telecom Regulatory Authority of India (TRAI) was also considering to take tough action against telecom companies for call drops. As per the latest TRAI report, the call drop problem during peak hours has almost doubled in the last one year. To improve the quality of service, BSNL Kerala Circle already started upgrading its existing mobile network by adding nearly 2000 new 3G mobile towers across the state. Dear readers, please share your views and opinions about this latest news via comments with us. How many of you have faced the Call Drop Issue in BSNL Mobile Network. Please comment your location and details about call drop complaints.